When I’m teaching a lesson all of my musical experience comes into play to create an immersive, creative, and thoughtful experience. Both my formal musical training and history of playing in bands helps me incorporate the power of creativity and improvisation into every lesson. My degree in Music Composition has allowed me to create engaging theory/ear-training games and exercises to sharpen a student's ear and musical understanding. My experience in bands over the years ensures a focus on being able to play with others, harmony, and keeping consistent rhythm. It also helps out when learning the chords to the latest pop single! Overall, I make sure learning the instrument is fun, because after all, fun is what kept me playing music consistently all these years. I’ve been a musician for 20 years, but found teaching, my latest musical passion, 6 years ago. My introduction into teaching brought it’s own challenges as I was in a place where English wasn’t the first language. 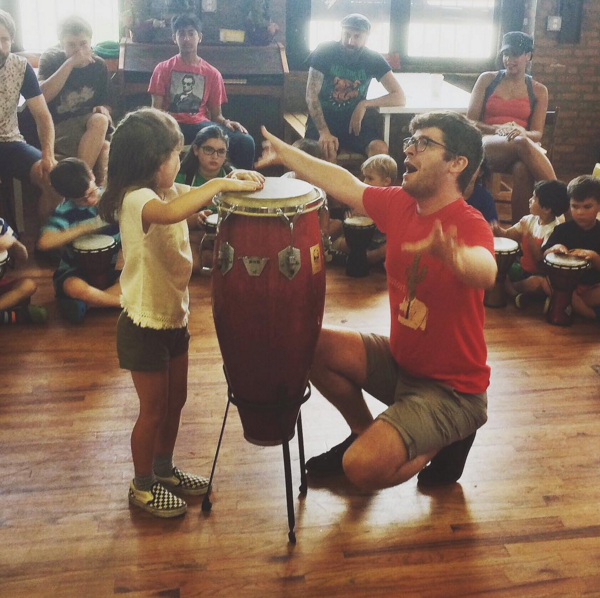 I was volunteering in the Middle East at an arts-focused non-profit teaching kids piano, guitar, and drums. I also helped organize a music and arts focused summer camp along with the other volunteers. This experience made me realize how much I loved sharing the joy of music with others, and particularly hooking kids on music early. 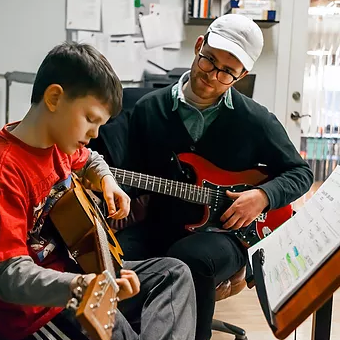 Since then, I’ve taught many amazing students of all ages in both Brooklyn, NY and Seattle, WA on a variety of instruments (guitar, bass guitar, ukulele, piano, group band classes). Wherever and whomever I’m teaching, the focus is sharing the skills needed to be a great musician in a fun, creative, and engaging way.